Fleetwood Mac have been in this business since the late sixties and as a result they kind of have this “cohesion thing” perfected. Spanning decades, the group has been through many ups and downs but despite their turbulent history (or perhaps because of it) they are a force on stage that you don’t want to miss. As pioneers of their own unique brand of rock, this band’s influence can be heard in many new rock bands on the charts today. Earlier this year in February, due to some all around fantastic parents, I attended the On With The Show tour at the Air Canada Centre, as the band stopped off in Toronto to entertain us with some of their most popular songs. 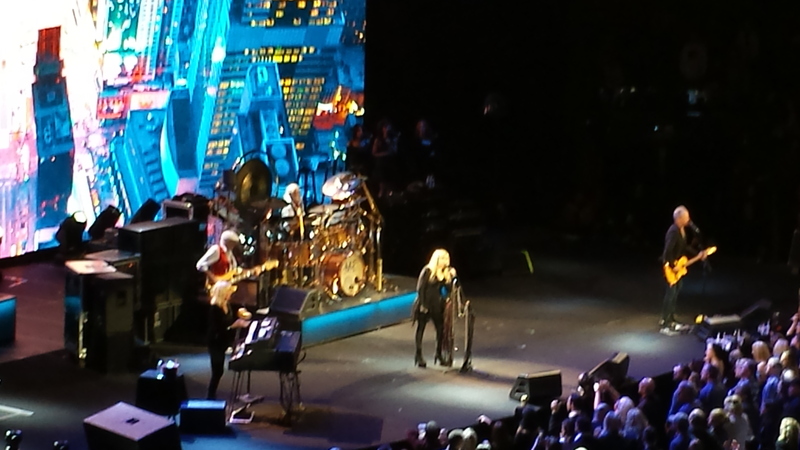 In attendance were a diverse legion of fans (of all ages) and a sub group particularly devoted to one of the group’s primary vocalists, Stevie Nicks. Stevie fans often emulate the boho-gypsy style she has adopted over the course of her career, and as such there was no short supply of girls in long flowing skirts, dresses, scarves and chic hats. Go Your Own Way, Rhiannon, Second Hand News, The Chain, Landslide, Big Love, Never Going Back Again, Tusk, Gold Dust Woman, were among the 24 songs that the band performed. 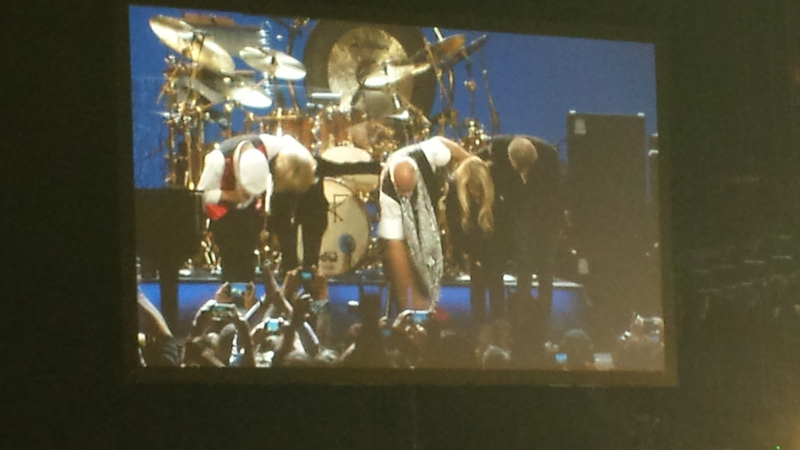 Each member of the band had an opportunity to put the spotlight on their individual talents; Mick Fleetwood demonstrating that, as a drummer, he possesses a boundless energy that seems almost inhuman, Lindsey Buckingham’s powerful rock vocals and guitar, Stevie’s vocals and magical stage presence, John McVie’s memorable bass solos (cue The Chain), and Christine McVie’s keyboard and sultry alto vocals. 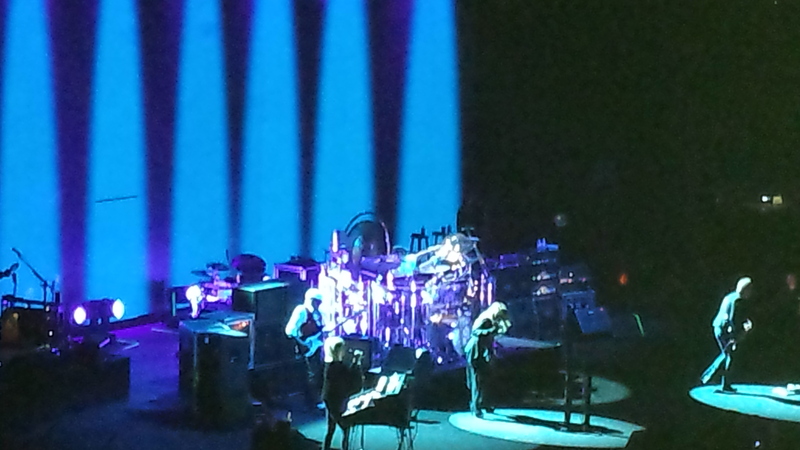 Perhaps one of the most exciting highlights of the On With The Show tour can be credited to Christine McVie herself, who, since 1998 had been separate from the band, reuniting for this tour. 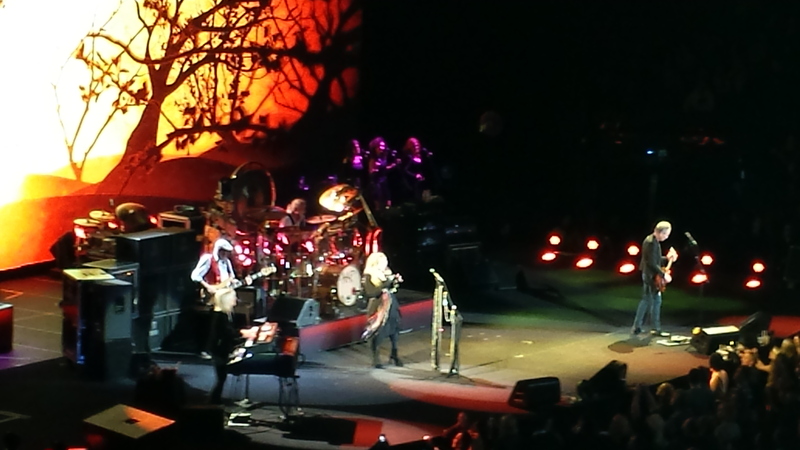 Here are 5 reasons not to miss the next Fleetwood Mac tour! 1. 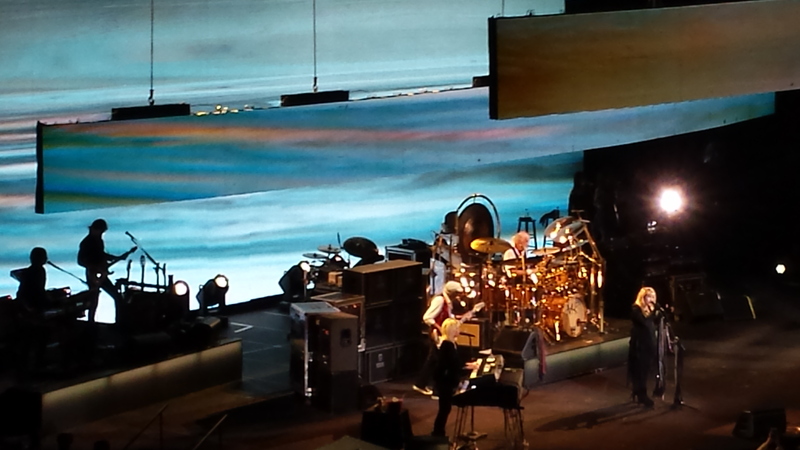 Drum solos – Mick Fleetwood will hypnotize the audience with his beats and watching his on-stage antics and solos will entertain you. 2. Songbird – every rock concert needs that brief moment where it all breaks down and a powerful ballad emanates from the stage – Songbird is that ballad, Christine and her piano are essential to that brief moment. 3. 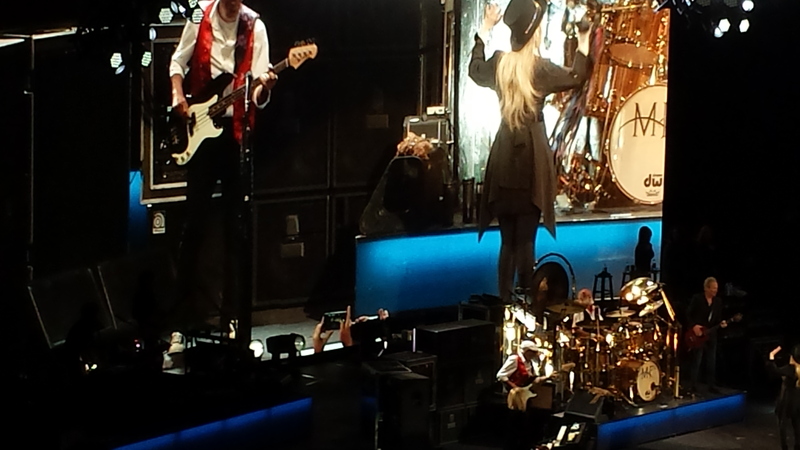 Stevie and Lindsey – really, the two of them steal most of the moments of any live FM show. Given that they lead the vocals for many of the band’s most popular songs, this means that they spend a lot of time on the mic – they like to add little anecdotes, tell stories, and, whether singing in harmony or solo, they are both phenomenally talented vocalists. 4. Stage – the set design for a FM show is usually something simple, but eye-catching – on this tour there were multiple screens with projected images and interesting lighting – each song was complimented by the images on the screens and the lighting set the mood perfectly. The performers made sure to play to the audience like the seasoned professionals that they are. 5. The songs – FM songs are great songs – period. Anyone who has ever listened to Rumours from start to finish knows it is an album full of incredible song writing. Rarely is an album comprised of songs that the listener feels no need to skip – Rumours is a quintessential rock album that you can listen to without skipping a single track. Fleetwood Mac, live in concert, playing any of the band’s epic songs, 100% falls under the “must-see” category of rock concerts.